I’ve known Kim since high school. We worked together when I had my very first job. I definitely have a memory of someone telling me way back then that they were taking a jewelry making class in their high school (and I was extremely jealous, since I didn’t even have an art class or photography class offered, let alone a jewelry making class), and I really feel like it was her. Either way, she’s a super crafty mama. When we had our consultation meeting before her shoot, she showed me photos of an adorable display she’d made out of an old ironing board, art showcases for her kid’s artwork that she’d made herself, and was actually working with a couple of adorable hair bows for her daughter Sara while we were talking (she’s made TONS of hair bows for Sara. And Sara looks absolutely adorable in them, all of the time). This is super impressive, because not only is she often cranking out some kind of cute craft, but she’s also a wonderful and loving mommy of four, one being brand new baby Noah. We’re going to talk more about Noah in a bit. Kim is a girl after my own heart. I love knowing other crafters. It’s just a sort of camaraderie feeling . She once had me make a pair of shoes like Sonic the Hedgehog’s shoes for her son’s birthday party, and I thought it was an absolutely adorable idea. So back to Noah. He was my very first newborn shoot. It was such a sweet experience. We started off with a couple of family shots, then a few of the kids with their brand new baby brother. Then we had a couple of mommy and daddy shots, and a bunch of baby Noah. And then we finished up with a few of the ADORABLE Sara. Seriously, this little thing is just so sweet. Noah was the most beautiful newborn ever. He was only about a week or two old when we did the shoot, but he didn’t have that “newborn” look. I don’t mean to sound awful because a newborn is always beautiful, but often times they tend to be a bit… discolored for a while. I totally was. I looked like a blotchy tomato for the first couple of weeks after my parents brought me home. And I was yellow for the first couple of days because I had jaundice. My little sister has a weird purple tint in her newborn photos. But then again, she’s UNBELIEVABLY pale as an adult, and I joke around with her sometimes that she’s so pale she’s blue (and I’m not too far off from that). Anyway, off the rabbit trail. Noah was so unbelievably sweet. He was a really good baby, didn’t sleep much at all, but didn’t cry much at all either. This is kind of what taught me that I’m not meant to be a solely newborn photographer. Or maybe that I’d need to practice A LOT with calming them. A big portion of the shoot was spent with my hand on him after I’d posed him, trying to get him to fall asleep, but I just never could. Even still, I liked some of the moving shots I got of him. They seemed real and showed his little personality. 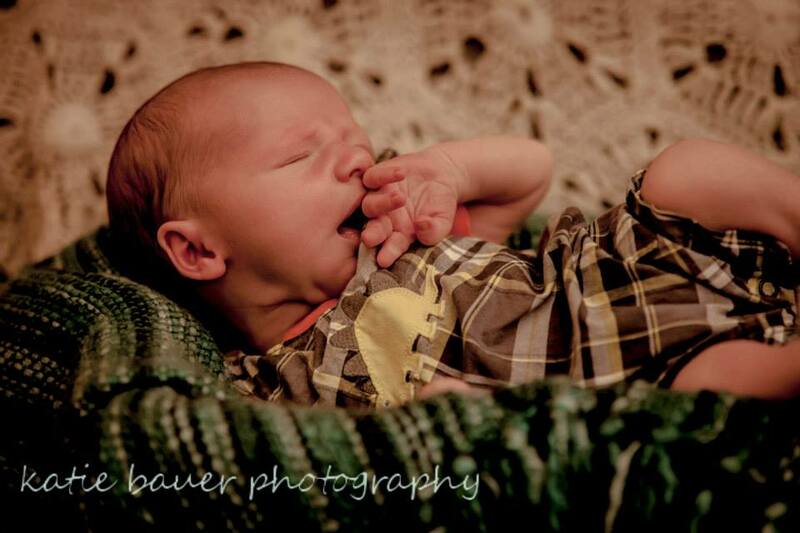 There are a lot of newborn photos out there, and you eventually run out of cute little poses. I think Noah was a great learning experience for me, and such a handsome little subject!